Quick: Think of watching a YouTube video. What kind of screen pops into your head? Chances are you thought of your laptop, desktop, smartphone or tablet before you imagined flopping down in front of a YouTube video on your widescreen TV in the den. But that’s an attitude YouTube is desparate to change — and TV makers are eager to help them out. A number of sets launching at CES 2013 this week in Las Vegas — including sets from Bang & Olufsen, LG, Panasonic and Sony — offer the video service’s recently launched “send to TV” feature. And all of that is just the tip of the iceberg. During interviews at YouTube HQ in San Bruno, Calif., the company tried its best to convince Mashable that a Minority Report-style future — one where the majority of us will simply flick videos off our phone screens and have them appear on our TVs, without a second thought — was just around the corner. “We’re trying to build this infrastructure that scales everywhere from watching 1080p HD-quality video on your TV all the way down to using a dial-up modem in a developing country,” says Shiva Rajaraman, YouTube director of product management. “We’d like to be all things video, and that means getting video into all places” — with your smartphone replacing your remote or your game controller. It also means turning YouTube into more of a DVR. The company hopes to persuade you to treat YouTube as a primetime, evening watching experience, rather than something you use for cat videos at work. Though YouTube doesn’t offer any numbers, a big chunk of this primetime spike is likely to be second-screen watching. You’ve got the TV on in the background, but you just got reminded of the really cool video that got passed around the office. So what do you do? Reach for the tablet, grab the laptop, pull the phone out of your pocket. Why? Because they seem like the best screens for the job. If you’re anything like me, you already have the ability to watch YouTube on your TV, along with Hulu Plus, Netflix and Amazon Prime. But you don’t do it because experience has taught you the result is likely to suffer by comparison with those other services. The big streaming companies offer a pretty consistent video experience. Load a movie on Netflix streaming, and you know it’s going to seem somewhere between DVD and Blu-Ray quality. Load a YouTube video on the big screen, and there’s a chance the quality could appear somewhere between an 8-bit video game and a fuzzy LEGO art project. There’s not a whole lot YouTube can do about that; it’s the one truly democratic, worldwide video network. Quality of uploads is bound to be all over the map. 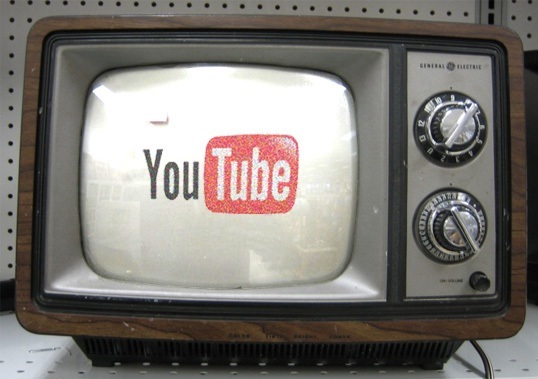 So how to overcome our wariness of using YouTube on the TV? During our conversations, I suggested the service start verifying accounts, Twitter-style — you get a tick next to your name if you consistently post videos that look great on a 42-inch screen, say. (Because as we know from experience, simply saying a video is HD when you upload it doesn’t make it so.) You could also use the verification process to clamp down on one of YouTube’s most terrible scourges: the vertical video. The YouTube team demurred. They’re leery of encouraging user behavior in that direct a manner. For example, there are plenty of times the service can see there’s a problem with your video playing, and can make an educated guess as to why. There have been discussions behind the scenes about having a dialogue box pop up telling you, for example, that you might want to quit the 10 other programs you have running. Still, YouTube’s focus is mostly on fixing its video service on the back end. An ongoing internal project code-named “Sliced Bread” has made the whole service a lot smarter about how it feeds video to you, chopping it up into slices much the same way regular internet content is divided into packets, and making a half-dozen other software and bandwidth adjustments on the fly. Getting a spinner, in fact, is the number one predictor of whether you’re going to abandon your YouTube video and move on to something else. So if you’ve found that your videos have started playing more smoothly with fewer interruptions recently, thank sliced bread. YouTube apps on Samsung and Sony sets sold within the last year will start updating themselves with improvements to the service, as they’re now controlled by YouTube rather than the manufacturers. You’ll also find that if you’re watching a lot of videos on TV, the apps will know that and start offering more HD videos to you. “If you only watch HD on your TV, you shouldn’t have to go and toggle some settings switch in order to do that,” says Rajaraman. Ultimately, none of this matters unless the content creators start viewing their stuff as TV-ready. Which is why YouTube is encouraging the whole concept of Channels and Subscriptions. On both the user and creator side, the plan is to turn the millions of YouTube Channels — whichever ones float your boat — into must-see TV. Developers are part of the bigger picture, too. The company is also releasing updates to its API with a mobile embeddable player, allowing more apps to take advantage of YouTube content. Ultimately, YouTube will rise or fall on what creators do with it. It isn’t trying to be Hulu or Netflix; there are no major deals for movies or cable content on the horizon. Whether it can compete with those services for your TV-based attention is up to you.